Dark garnet color. Aromas and flavors of boysenberry creme brulee, cherry soda float, and strawberry jam on brioche with a tangy, moderately sweet medium body and a complex, medium-long finish that shows notes of orange-peach sorbet, pomegranate chutney, and macadamia toffee with dusty, fine, fruit tannins and no oak flavor. 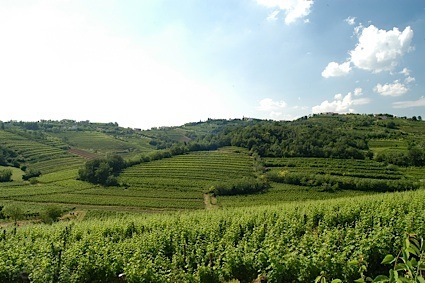 A fun and flavor-packed ride with balanced sweetness, acidity and varietal character. Bottom Line: A fun and flavor-packed ride with balanced sweetness, acidity and varietal character. 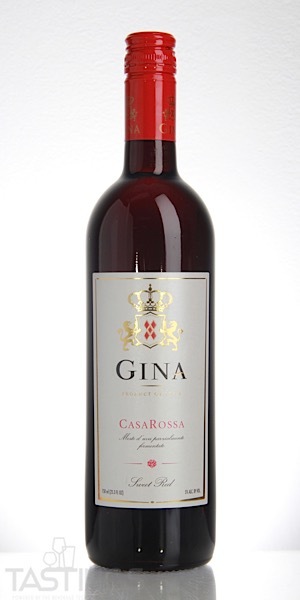 Gina NV Casa Rossa Sweet Red , Italy rating was calculated by tastings.com to be 90 points out of 100 on 12/17/2018. Please note that MSRP may have changed since the date of our review.